Mrs. Grissom’s Salads is recalling a single days production of Mrs. Grissom’s Old Fashioned Pimento Cheese dated MAR 13 2019. While the correct Pimento Cheese label was on top lid, there may be a Mrs. Grissom’s SELECT Cranberry Pecan Chicken Salad label on the container. There have been no reports of allergic reactions or illness associated with this product. La Cie d'Investissements Côté Inc. is recalling Bio Busti brand Pecorino Stagionato cheese. There are no reported illnesses associated with the consumption of this product. Customers who purchased the recalled product should discard it or return it to the store where purchased. Hy-Vee of West Des Moines, Iowa, is recalling Maytag Raw Milk Blue Cheese across its eight-state region. The recalled product was sold in whole wheels and cuts, and re-packaged in foil or clear plastic wrap with scale labels in various weights. Blue cheese crumbles were also sold in plastic containers. All product was labeled as "Maytag Blue Raw Milk," "Maytag Blue" or "Maytag Iowa Blue Cheese" and with PLU numbers beginning with 854089001 and with "use by" dates between Jan. 20, 2016 and May 3, 2016. It was sold from cheese cases in all of Hy-Vee's 240 stores in Iowa, Illinois, Missouri, Kansas, Nebraska, South Dakota, Minnesota and Wisconsin between November 20, 2015 and March 2, 2016. Consumers with questions may contact Hy-Vee customer care representatives 24/7 at 1-800-722-4098. Global Garlic of Miami, Fla., is recalling 227 units of Queso Fresco/ Whole Milk Cheese that may be contaminated with Listeria monocytogenes. The recalled product, which comes in a 16-oz. plastic bag labeled, “DE MI PAIS” with September 19, 2017, expiration date, was sold in retail stores in Fort Lauderdale, Fla., Miami, Fla., and Fairdale, Ky. 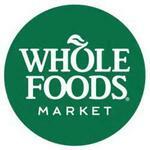 Whole Foods Market is recalling Explorateur French Triple Crème cheese from nine stores located in New Mexico, Texas, Arkansas, Illinois, Connecticut and New Jersey. World’s Best Cheeses of Armonk, N.Y., is recalling 22 cases of Formagerie de la Brie brand, l’Explorateur soft ripened cheese. Seacrest Foods International of Lynn, Mass., is recalling 29 cases of Formagere de la Brie brand, l’Explorateur soft ripened cheese. No illnesses have been confirmed by public health authorities to date. Kraft Foods Group is voluntarily recalling some varieties of Kraft and Polly-O String Cheese and String Cheese Twists products. These products may spoil before their "Best When Used By" code dates, leading to product discoloration. The affected products all have code dates from October 25, 2013, through February 11, 2014. Approximately 735,000 cases of the affected product, which was produced in Campbell, N.Y., were shipped to customers across the United States. The affected product was not distributed in Canada. Consumers can find the "Best When Used By" date on the back of multi-count packages toward the bottom. For string cheese products labeled for individual sale, the "Best When Used By" date is on the bottom front of the package. No other Kraft or Polly-O String Cheese or String Cheese Twists products -- or any other Kraft Foods or Polly-O products -- are being recalled. Consumers who purchased any product listed above should not eat it. They should return it to the store where purchased for an exchange or full refund. Consumers also can contact Kraft Foods Consumer Relations at 1-800-816-9432 between 9 am and 6 pm (Eastern). 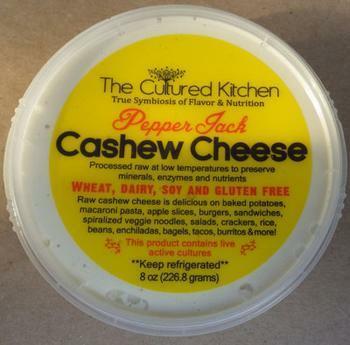 The Cultured Kitchen of West Sacramento, Calif., is recalling all flavors of its non-dairy cashew cheese product. The raw materials used in the production of the cashew cheese product may have been tainted with a specific strain of Salmonella found almost exclusively in Southeast Asia, the source of the company’s cashews. The recalled product was distributed in Northern California and Nevada at various natural foods stores and farmers markets in the Sacramento Valley, San Francisco Bay Area and Reno. Consumers who have purchased the recalled product with the above expiration date ranges are urged to return it to their place of purchase for a full refund or dispose of it immediately. Contact The Cultured Kitchen at 916-212-0810 for more information. The Kraft Heinz Company is recalling select code dates and manufacturing codes of Kraft Singles individually-wrapped slices. A thin strip of the individual packaging film may remain adhered to the slice after the wrapper has been removed, potentially causing a choking hazard. There have been 10 consumer complaints to date about the packaging, including 3 reports of consumers choking. The recall applies to 3-lb. and 4-lb. 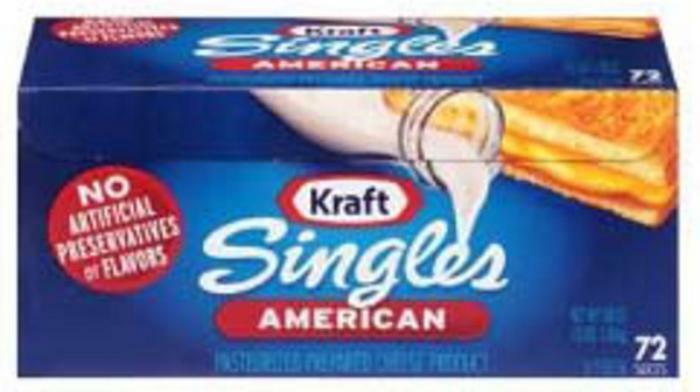 sizes of Kraft Singles American and White American pasteurized prepared cheese product with a Best When Used By Date of 29 DEC 15 through 04 JAN 16, followed by the Manufacturing Code S54 or S55. The Best When Used By Date and Manufacturing Code are stamped on both the larger 3-lb. and 4-lb. boxes and the enclosed individual 1-lb. packages. Approximately 36,000 cases of the recalled product were shipped by Kraft Heinz to retailers in the U.S., Puerto Rico and Grand Cayman. The product was NOT shipped to Canada. Customers who purchased this product should not eat it, but should return it to the store where purchased for an exchange or full refund. Consumers may contact Kraft Heinz consumer relations for a full refund, at 1-800-432-3101, Monday through Friday, 9am to 6pm (ET). The Kraft Heinz Company is expanding its earlier recall of select code dates and manufacturing codes of individually-wrapped American slices. The expansion of the recall follows two new consumer complaints of choking in connection with the packaging issue. The product list below is inclusive of the previously recalled 3 LB and 4 LB sizes of Kraft Singles American and White American pasteurized prepared cheese product with a “Best When Used By” date of 29 DEC 15 through 04 JAN 16, followed by the Manufacturing Code S54 or S55. Only products with the S54 and S55 codes, which refer to the two production lines on which the impacted product was made, are included in this recall. The “Best When Used By” Date and Manufacturing Code are stamped on both the outer box and the individual packages. Approximately 335,000 additional cases of the recalled product were shipped by Kraft Heinz to retailers in the U.S. and Puerto Rico, Anguilla, Bahamas, Belize, Bermuda, Cayman Islands Grand Cayman, Netherland Antilles, Saint Kitts and Nevis, South Korea, St. Lucia and British Virgin Islands. Customers who purchased this product should not eat it, but return it to the store where purchased for an exchange or full refund. Consumers in the U.S. and Puerto Rico may contact Kraft Heinz consumer relations for a full refund, at 1-800-432-3101, Monday – Friday, 9 am – 6 pm (ET). 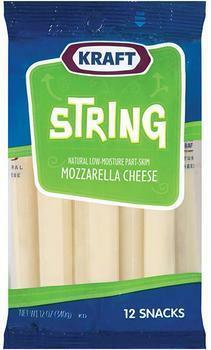 MDS Foods is expanding its earlier recall of cheese products. Deutsch Kase Haus of Middlebury, Ind., supplied MDS Foods with cheeses that have been found to be contaminated with the pathogenic organism Listeria monocytogenes. Customers who purchased the recalled products should not consume them, but return them to the place of purchase for a full refund. Consumers with questions may contact MDS Foods customer service at (330) 879-9780 Monday through Friday, 8:00AM to 5:00PM (EST). Truitt Brothers Inc. of East Bernstadt, Ky., is recalling approximately 1.77 million pounds of shelf-stable pasta and ground beef products because of misbranding and an undeclared allergen. The products are formulated with hydrolyzed soy protein and dried soy sauce, known allergens that are not declared on some labels. 3.3-pound cases containing six, 9-ounce microwaveable containers of “Kraft Velveeta Cheesy Skillets SINGLES – ULTIMATE CHEESEBURGER MAC” [a macaroni & cheese product] with a Used By/Sell By date code of “02 MARCH 2014 – 23 OCT 2014.” Identifying case codes are: 00210000432900, 00210000432910, 00210000432925, 00210000464000 and 00210000465100. The products were produced between May 6, 2013 and Jan. 16, 2014 and shipped to Kraft Foods distribution centers and retail locations nationwide. 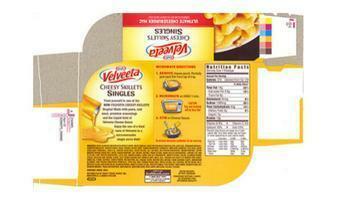 No other Velveeta or Kraft products are affected by this recall. Consumers with questions about the recall should contact the Kraft Foods Consumer Relations Center at 1-800-396-5512. Listeria monocytogenes is an organism that can be potentialy fatal to young children, the elderly, or consumers with frail or compromised immune systems. However, even healthy consumers can experience symptoms such as high fever, severe headache, stiffness, nausea, abdominal pain, and diarhhea. Pregnant women who are infected stand the chance of having a miscarriage or stillbirth. 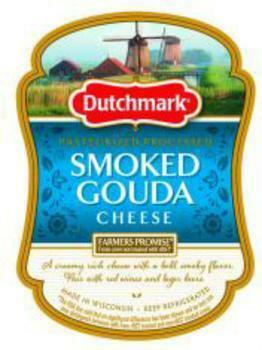 The recall covers two products -- Great Midwest Applewood Smoked Gouda Cheese and Dutchmark Pasteurized Processed Smoked Gouda Cheese. Both were sold nationwide, primarily in retail stores and at deli counters. Information on the brand, product, pack size, universal product code (UPC), and "Sell By" date can be found below. No illnesses have been associated with this recall thus far. Consumers who have purchased either recalled product are urged to dispose of it or return it to the place of purchase for a full refund. If you are concerned about any illness or injury as a result of consuming the product, contact your healthcare provider immediately. For more information, consumers can contact the company at 1-877-578-1510, Monday through Frida, between 9 a.m. and 9 p.m. EST. Arthur Schuman Inc. of Fairfield, N.J., is recalling 30,200 lbs. of Bella Rosa Grated Parmesan Cheese. The product may contain egg, an allergen not listed on the label. The recalled product (UPC 088231410041) was sold exclusively through BJ's Wholesale Clubs in Massachusetts, Connecticut, Rhode Island, New York, New Jersey, Pennsylvania, Delaware, Maryland, Virginia, North Carolina, Georgia, Florida and Ohio. The product is packaged in 1.25- lb. PET jars with "sell by" dates (July 13, 2015, August 17, 2015, and September 10, 2015) printed on the side of the jar just below the lid. Customers who purchased the recalled product should return it to any BJ's Wholesale Club store for full refund. Consumers with questions may contact Arthur Schuman directly at 973-787-8840, Monday – Friday 8am - 5pm (EST). Great Lakes Cheese is recalling of 60 packages of American Accent Shredded Imitation Mozzarella Cheese. The product contains whey and casein, milk allergens not declared on the label. There are no confirmed reports of adverse reactions due to consumption of these products to date.